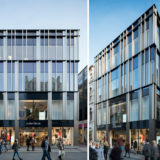 The design concept aims to achieve a high-end contemporary expression with a particular material quality for a refurbished 1970’s building located in the heart of the Grafton Street. A large new retail unit extends from basement to first floor, with refurbished office floors above. 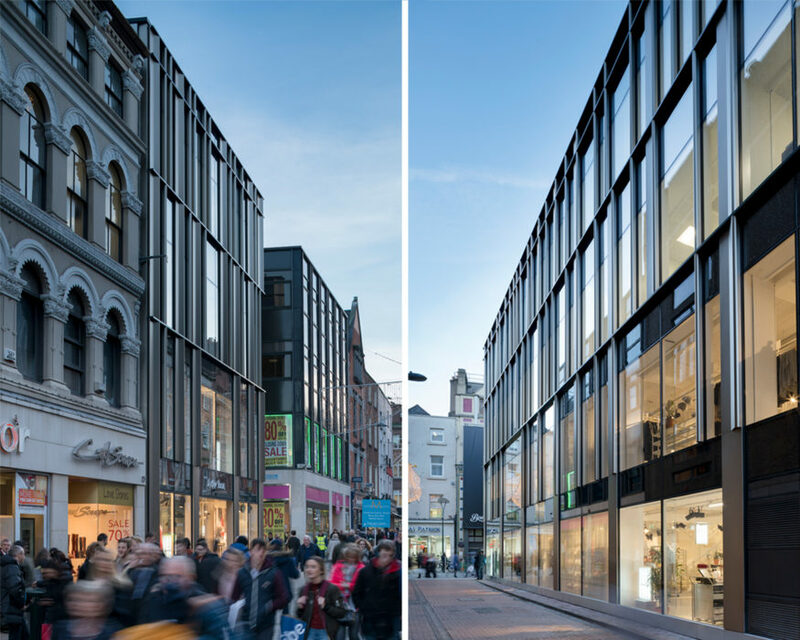 The challenge is to create a contemporary and unified expression for the different space uses behind the facade which sits comfortably in the established and much-loved composition of Grafton Street. The geometry of the new facade is defined by a series of slender vertical metallic anodised bronze elements, assembled in two interlocking patterns, one rising and one descending. 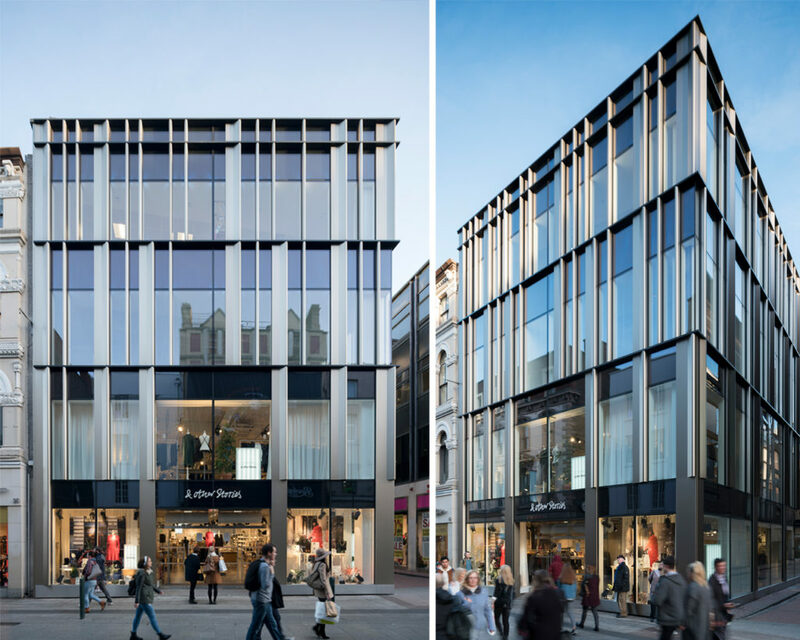 The descending pattern becomes progressively more open, in a cascading form, meeting the rising pattern to give an open, double-height expression to the retail frontage at the lower floors. A set of thin horizontal lines form a series of cornices, one at each floor level, picking up on the horizontal cornice lines on the adjoining street buildings. These elements sit in front of the glass plane of the facade, with its black glass spandrels, which reduce in depth as they descend from floor to floor.